Please use a small piece of bubble wrap, my male was stressing out and over working due to the wrap being too heavy it would pop his bubbles and form into a big bubble. I saw him working extra hard making that big bubble into small ones again. I think that's one of the reasons why he moved them to another location. Without a bubble nest now the eggs are just falling non stop, about 20 to 50 eggs will fall every minute. Poor boy trying his hardest to keep all of them up. He has started putting them in bubbles again. Should be hatching real soon !!! 35 to 40hrs seems to be the prime time for hatching, I now have about 100+ bouncing betta fry, there is still heaps of eggs waiting to be hatched. Will try to take a photo when they decide to come to the front of the fish tank. Also after leaving my aquarium light on for almost 2 days in a row, starting to get a bit of algae growing on the walls. They hatch that quick? Wow!! That's amazing. Hello little fries! I'll say about 95% of the eggs lived, I haven't seen any eggs on the bottom of the tank but maybe the male betta ate them. If only we could all do that with our young. GazHMPK and CharleneMB like this. He seems a little bit stressed out and tired, pretty much just watching his babys. If there a little to far he would go get them back haha. Just 24hrs and the fry should be free swimming and he will be having a good rest/feed. Male has been taken out and is very stressed/depressed, he might even end up dying. 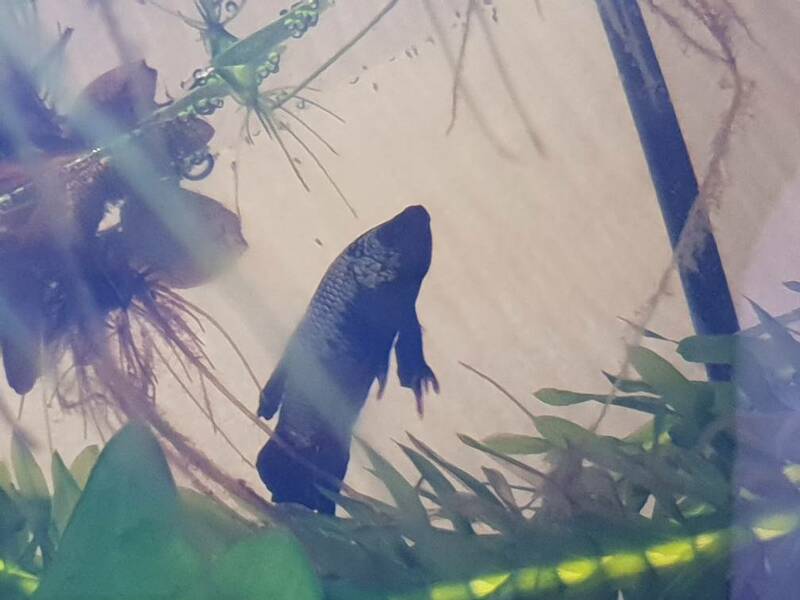 His been swimming into walls and sitting at the bottom corner. Built a new bubble nest on the top corner as well. On a good note. About a handful of fry are free swimming now, should be feeding their first meal of microworms very soon.